Last week, I attended an event hosted by box (box world tour) in Stockholm. Among the demonstrations of box and its features, there was a tiny feature that caught my attention. It’s a simple label that can display the role of the currently logged in user next to the content. It was clear at a glance that this significantly increases user engagement by making users comfortable with their roles and the security model within an ECM. 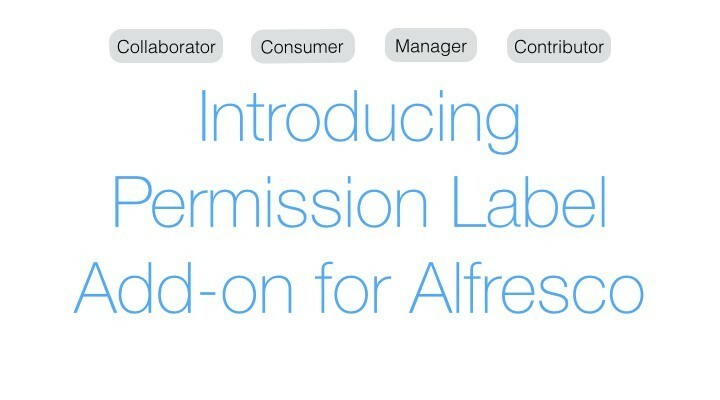 We liked the idea so much, we decided to build it for Alfresco. We finally did, and in the above screenshots and below you can see the add-on in action. 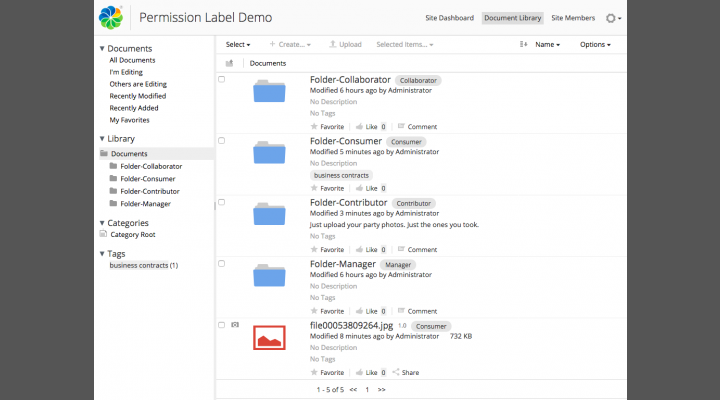 In Alfresco, the label sits next to the title in the document library. 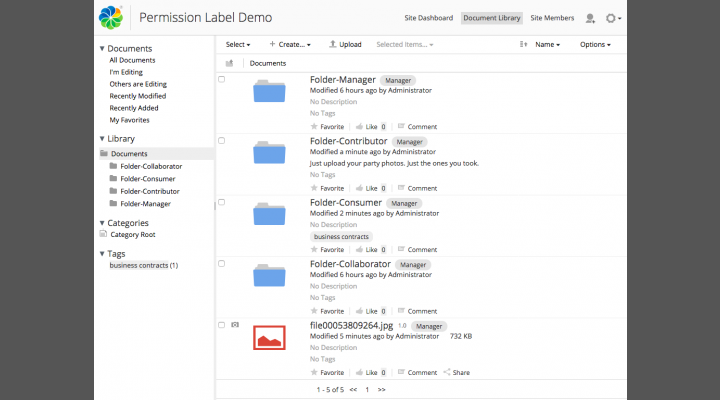 It’s got a simple purpose of displaying the permission level a user has on a folder or a document/content. It doesn’t do anything more/less than that. It’s fairly simple as you would expect, but once you try Alfresco with it, you will start wondering how you ever used Alfresco without it. 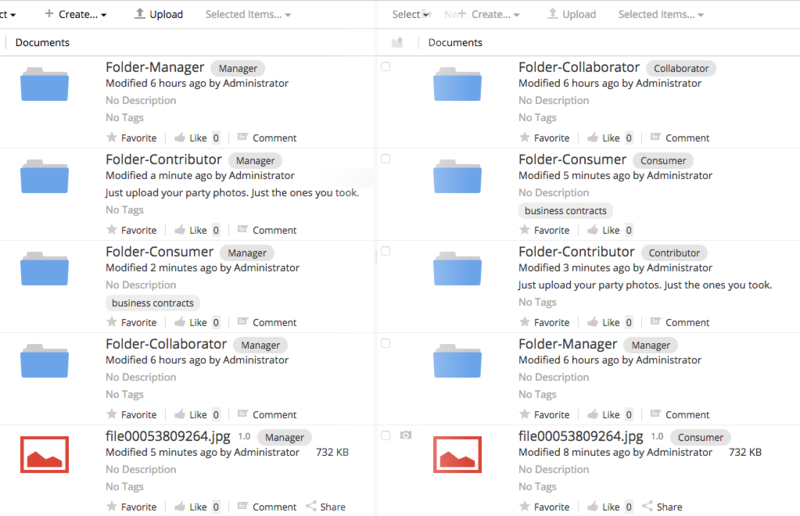 We hope you would give it a try and share your comments and also improve the experience for your Alfresco users. This add-on will also be available with our Alfresco Community edition (commercially supported, bug fixed). 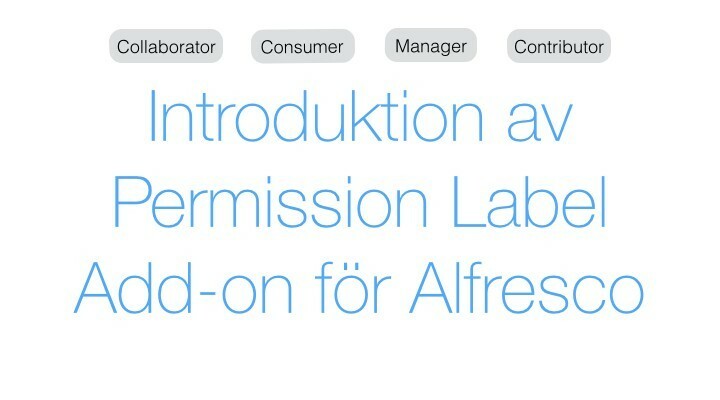 The add-on is now available on GitHub under the AGPL License, but if you are looking for a commercial licence and/or support, please feel free to contact us.